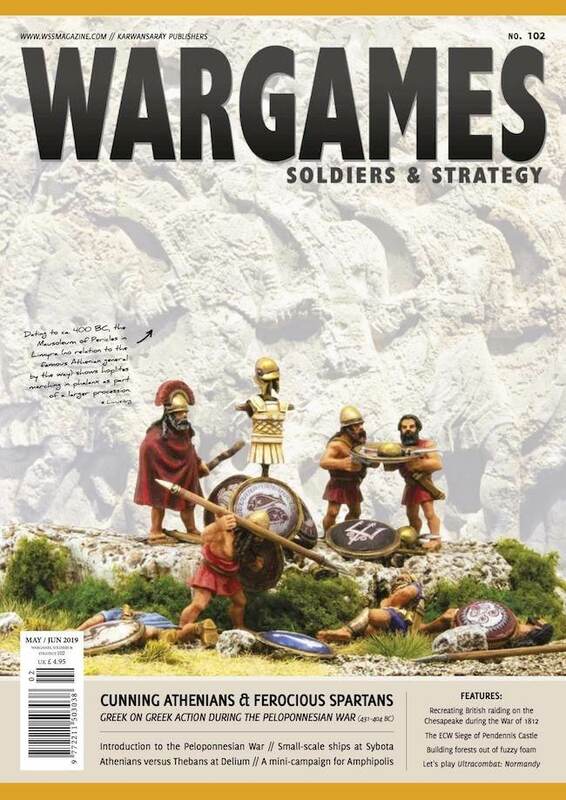 Recently off to the printer, issue 102 of Wargames, Soldiers and Strategy has a theme focusing on the Peloponnesian War. There are scenarios for the battles of Delium and Sybota, and a campaign game for the battles around Amphipolis. Issue 102 is packed with plenty of other fun off-theme features as well, including a War of 1812 campaign, an ECW siege, and TWO WWII bitesize battles. Pre-order your copy today and save! This entry was posted on Saturday, April 13th, 2019 at 10:15 and is filed under News. You can follow any responses to this entry through the RSS 2.0 feed. You can skip to the end and leave a response. Pinging is currently not allowed.